Our small boutique winery focuses on estate grown Pinot Noir and Chardonnay varietals, annually producing 5,000 cases of wine in total. Vineyard care takes center stage in our wine production, where sustainable agricultural practices combined with careful management of the fruit yields on the vines lead to the noted luxurious intensity within our bottlings. We first planted our oldest vines of Pinot Noir in 1990, adding a block of Dijon clone Chardonnay two years later. Over the years we have expanded the vineyards and now nurture 34 acres (25 Acres of Pinot Noir, 4.5 acres of Chardonnay and 1/2 acre of Pinot Gris). 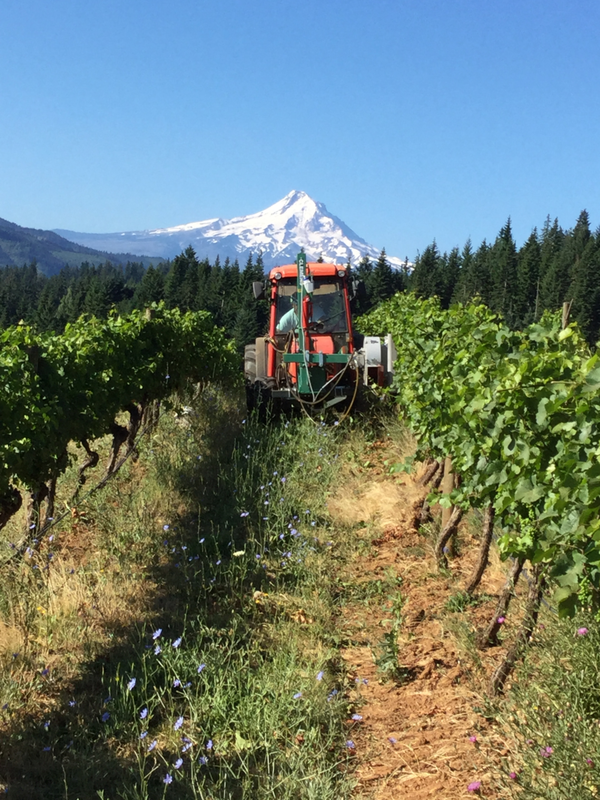 In addition to our estate fruit, we experiment with growing "alternative whites" just across the Columbia River on Underwood Mountain. "Hanging less grapes adds labor and cost, but there are no shortcuts when the goal is the finest expression of a specific vineyard in the wine." Stage 1: "Discover the Land"
Stage 2: "Cultivate the Crop"
Stage 3: "Expand the Vineyard"
Stage 4: "Make the French Connection"
Stage 5: "Pick out the Pup"